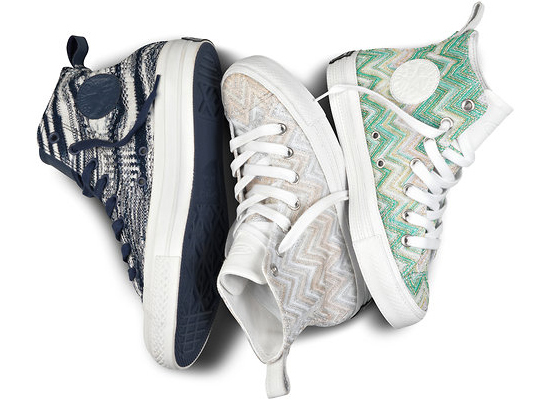 Missoni have collaborated with Converse to create a limited edition collection of sneakers for the spring season. The Italian brand's iconic prints cover the classic Converse Chuck Taylor model. It's a comfortable, chic shoe created by one of the top fashion brands and selling for just €155. Hi! Im new on blogger, take a look of my blog please, thanks! Julieta, 16 years. Buenos Aires, Argentina. Jeremy Levy (1983) started devoting to the world of fashion at 18 years old and since then he has not stopped. He worked for several companies, always favoring to young designers and small brands. From Paris to Barcelona passing for Casablanca, or Marbella has organized fashion shows, collaborated with press and trained teams of merchandising, and window dressing or worked as stylist with photographers, magazines and designers for the photo shootings.